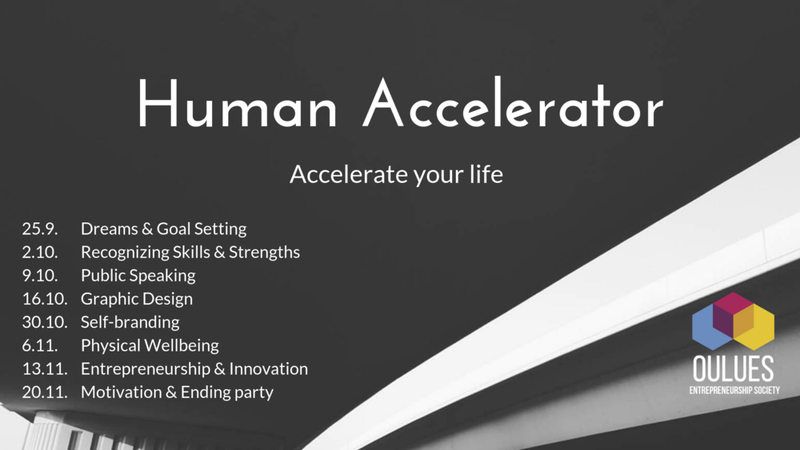 Human Accelerator is a program for the curious individuals who want to learn new and relevant work-life skills and do something meaningful. The eight-week program is open for all who are highly motivated in developing themselves. The accelerator program consists of 8 workshops, other small tasks and a couple of social gatherings for the participants. The final workshop of the program is all about motivation and growth mindset, two essential things that are needed to succeed in the future. This workshop is hosted by Roger Osorio, who works at IBM during the week and during the weekend is active facilitator of Startup Weekend events. He was the facilitator of Startup Weekend Oulu in autumn 2017. There are two mindsets that play a significant role in achieving goals - fixed and growth mindset. Someone with a growth mindset believes they can grow into their goals through learning and practice. This workshop and session will crystallize these to you and at the same time wrap up the whole program. REGISTER TO THE PROGRAM HERE. When you register to the program, you are automatically registered to all 8 of the workshops. Please note that we can accept maximum 25 people to the program and it's first come, first serve basis. Each workshop will start at 16:30 and will last until 19:30. Language of the workshops is English.